In addition to the biking, the historic park, and the Peninsula Recreation Area, Frisco is equidistant from Keystone, Copper Mountain and Breckenridge, making it a great base to explore the entire area. Frisco today is a modern town, far enough from the ski resorts to have a stable community of its own residents. They are less wrapped up in the dynamics of the ski resorts and more interested in the act of simply enjoying their incredible area. Founded as a trappers camp in the early 19th century, Frisco already had a long history by the time it was chartered in 1879. The railroad's arrival in 1882 cemented the town's place until the Great Depression nearly emptied the town. 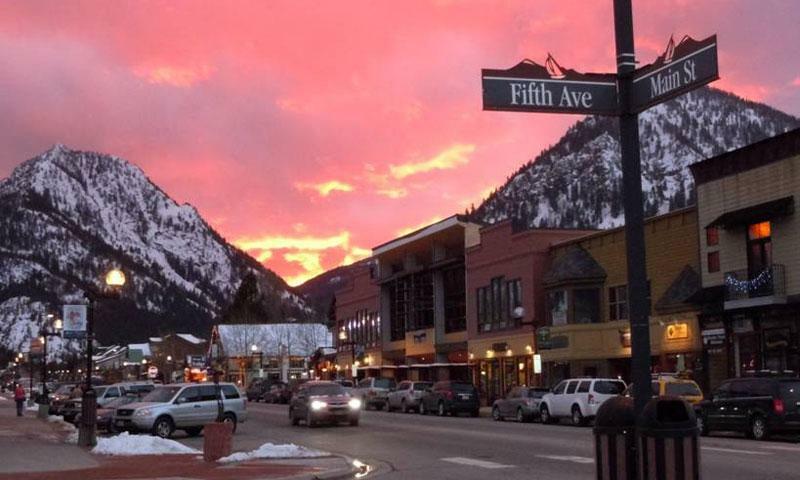 Frisco holds a special place as the home of people who work the ski lifts, restaurants, hotels and other services, taking the shine off the glitz and glamour that can come with resort towns. Less than 15 minutes from Copper Mountain, Keystone and Breckenridge, the town of Frisco lays on Lake Dillon, 70 miles west of Denver and 30 miles east of Vail. Because of its distance from the ski hills, Frisco has the room for great restaurants and hotels. There are options for everyone: cute little bed and breakfasts, creative chefs, national chains, and historic hotels with their local charm. Frisco has a good selection of both retail and rental shops, often with an excellent price to beat the shops at resort towns. It's no surprise that a town like Frisco, Colorado, in the middle of the Rocky Mountains, would have more than a few activities. To list a few, visitors can enjoy camping, fishing, tennis, a skate park, and much more. The Peninsula Recreation Area hosts the Frisco Nordic Center, where cross-country skiers lock into their bindings for a tour around the maintained trails. Other visitors use the various sports facilities, or head farther in for a picnic or some overnight camping. Peaks Trail is a 7.8-mile mountain biking trail connecting Frisco to Breckenridge. So head over for lunch, then come on back for a great day out on the single-tracks. Frisco is also on Lake Dillon, with the Frisco Bay Marina as a launching point for the boaters who head out on the lake. The town of Frisco has spent a great deal of time and energy to preserve and celebrate its history in the Frisco Historic Park and Museum. A dozen buildings from the late 19th century were moved and immaculately restored to demonstrate the city during that time period. Hundreds of photographs also detail the time period. Frisco, CO is located along I-70, just over 70 miles from Denver and under 30 miles to Vail. Get on I-70, heading west from Denver or east from Vail, until exit 201. The town is on the southeast side of the highway.